It is soup season and I am all about that! I love soup and now is the time to try all the recipes. I tried this recipe after finding it on Pinterest but I forget the source. I don’t follow it exactly as usual but I prefer it that way. This is done in a slow cooker which I am obsessed with because they make life easier. All you have to do it dice everything, throw it into your slow cooker and away you go! You cook this on high for 4-5 hours or low for 7-8 hours. Once done, mash about 1/3 of the potatoes. 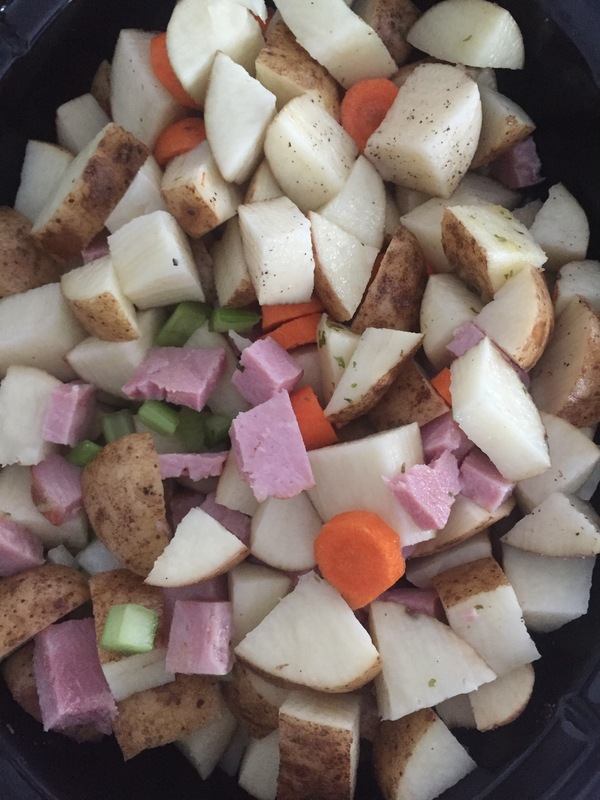 The ham wont mash and it is okay for the veggies to mash with the potatoes. Keep the flour, milk, and sour cream until the end. After mashing, add in your flour, milk, and sour cream. Stir it all up and cook on high for another 15 minutes. This is such a simple recipe and as someone who hasn’t really made soups before, it was the perfect starting place. I make a slow cooker full and as it is usually just my boyfriend and I, I freeze the rest. I’ve made this twice now and I’m already planning on making it again! I keep a recipe book that I add recipes that both my boyfriend and I love. This one has made the book for sure! I definitely recommend trying it out. 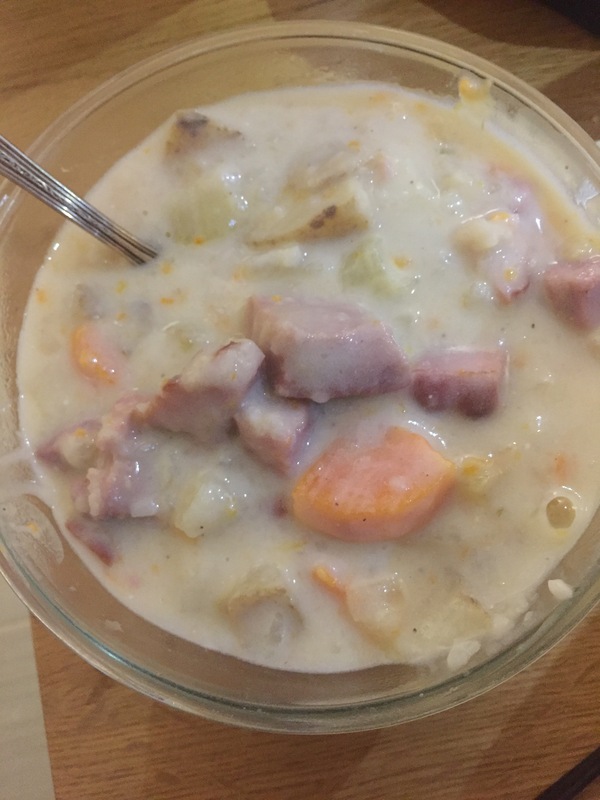 It is the perfect thick soup for a snowy day. Any soup recipes you guys suggest?